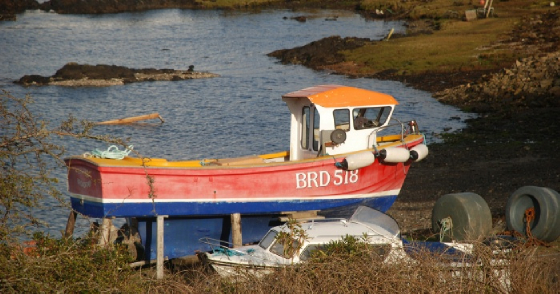 If you arrive via the Skye Bridge drive for about 7 miles to a sign post on the outskirts of Broadford pointing left onto the A851 signposted for Armadale. Drive along this road for about 15 miles all the way to Armadale. Just past the garage & petrol station turn right into Ardvasar village. Oak Tree Cottage is located on the right hand side of the road and is the second cottage after the The Inn @ Àird a' Bhàsair. If you arrive via the ferry from Mallaig, leave the ferry terminal, turn left into Ardvasar village, then proceed as above.